What can I say? I'm especially flattered by the comment from "H. Guergis." Surely not the H. Guergis? This page contains a single entry by Dr. Dawg published on March 31, 2010 10:04 AM. 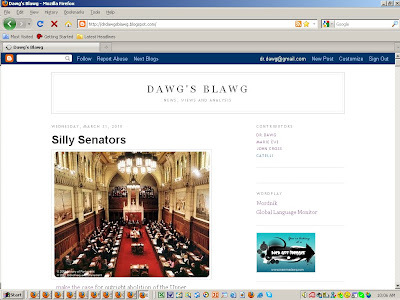 Silly Senators was the previous entry in this blog. Let me make a prediction is the next entry in this blog.